As usual for 1992, it was another Williams walkover as Nigel Mansell cruised to victory ahead of teammate Riccardo Patrese. Michael Schumacher took a much deserved third place - in qualifying he’d been the only driver to get within a second of the two Williams’ (everyone else was over two seconds off) and despite dropping to fifth at the start, by lap 12 he was back up to third, where he stayed for the rest of the race. 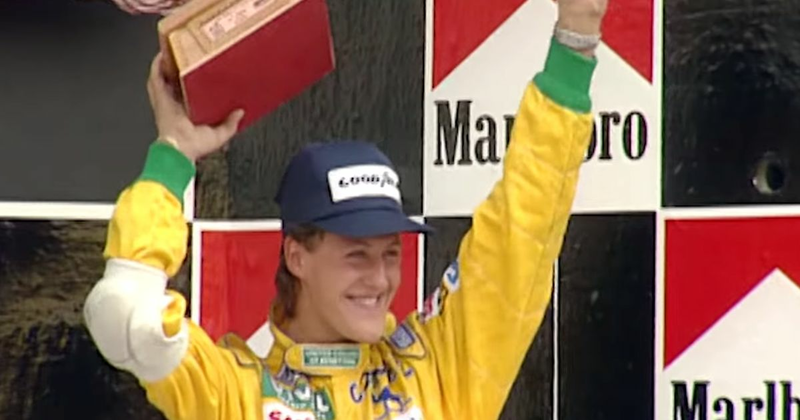 It meant Schumacher stood on an F1 podium for the first time in just his eighth grand prix - he’d reach it another 154 times over the course of his career. This was also the final Mexican GP until 2015 as the combination of problems in the local area and a track surface that was becoming dangerously bumpy. Leslie Johnson (born 1912) was the first driver to ever retire from a World Championship Formula 1 race when the supercharger on his ERA broke three laps into the first race at Silverstone in 1950. That would prove to be his only race, though he did have success in a number of other disciplines throughout his career. Roberto Merhi (born 1991) raced for Manor Marussia in for much of 2015, though at the end of the season he had to give up his seat to Alexander Rossi for a few races. He had a strong finishing record, only retiring once from his 13 starts, and had a best finish of 12th in the British GP.